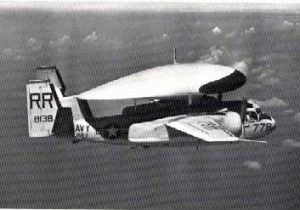 I was there…at 3,000 feet and twenty miles away in a Navy E1B aircraft equipped with a powerful radar. I directed strike aircraft to protect our ships as I saw raw video on the radar scope of at least 12 small boats darting in and around the USS Maddox. I also established relay communications with the USS Ticonderoga and heard the combat information officer aboard the USS Maddox report multiple torpedoes running under the ship. 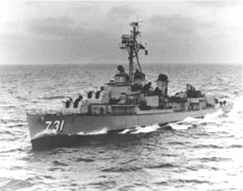 The only reason they did not sink her was the fact that the Maddox was at the end of her time on station in the Gulf of Tonkin and was low on fuel so was running high in the water. The torpedoes were set to run at a depth too low to hit her. Two nights later I was in the same position to protect the USS Turner Joy. I fed vectors to CDR (later Adm) James Bond Stockdale in search of this attack. However, that action was probably over reaction of an exhausted CIC officer to lightening flashes. No enemy forces were found. The New York Times said it didn’t happen. History is determined by press reports of the day. Someone once noted that freedom of the press is limited to those who own one. Reporter writes his version of what an eyewitness describes. The eye witness dies. The reporter’s version survives. I served two tours in Vietnam and was awarded a chest full of medals. Two of those medals were from President Johnson who, as you might recall, caved in to public polls and the main stream media pressure and gave up. Another example of a Democratic politician praising heroism without showing any. And another example of how press reports will distort and even ignore actual events. Many years later, Robert McNamara wrote a book and said..."oooops...sorry"! Didn't hear that from Walter Cronkite about his lies "reporting" the Tet offensive. I have a letter of commendation for my actions that night from Admiral Roy L. Johnson to prove the above. You’ll find it in Navy records as Ser: 002-1406 dated 12 October 1964.